Technological innovation comes from many people around the world every single day. Yet, it is rare to know the names of those who spawn the innovations that eventually reach market and change our lives. Most people tend to only read headlines instead of history. If you are one of them, you would think that true technological innovation is generated by a select handful of individuals sitting by themselves in a small garage in California. There are many examples of a lone innovator scrawling an idea on a napkin or a piece of paper that becomes a billion dollar company, forever altering how we interact with the world. In fact, the current combined net worth of “The Big Four” (Microsoft, Apple, Google, Facebook) is somewhere north of $1.1 TRILLION dollars. And they were all started with very little money and a single idea. So how is it that we all know about the humble beginnings of innovators such as Steve Jobs, Bill Gates, Larry Page, and Mark Zuckerberg? Because their stories have been told so many times, they are now the stuff of legend. Today, parents tell their children they can do the same thing as a tale of optimism, much the same way our parents used to tell us that we if we studied hard we could become the President of the United States. Looking at these famous innovators brings up a very important question. Is it the individual and their idea that change the global landscape, or is it the proliferation of that innovation by the company they found which is the real innovation? To answer that question, we only need to look at the “most important inventor” in the history of America, Thomas Edison. Between 1868 and 1930, Edison had almost 1,100 submitted patents accepted for a multitude of products. Most of them never saw the light of day or were merged into other products being developed. But a few of them, such as the light bulb, irrevocably changed the world. So how exactly how did Edison invent the light bulb and go down in history as “the father of the Electrical Age?” He took the idea of Joseph Swan (the inventor of the original incandescent lamp), made a small adjustment based on the work of Nicolas Tesla, and devised a brilliant marketing strategy to sell enough light bulbs that he could afford to buy out Swan and merge their companies together to form what is now General Electric. Before you start feeling sorry for Swan, keep in mind that he stole the idea from Warren De la Rue, who stole it from Humphry Davy, who originally developed it in 1809 in a tiny laboratory using a battery, two wires, and a simple charcoal strip. 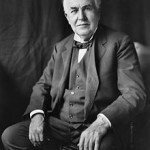 While Edison was a brilliant man, it would be more accurate to say that he innovated a marketing and business strategy as opposed to the phonograph or the light bulb. 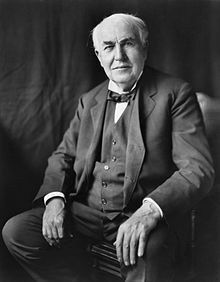 So even though history remembers Edison as an innovator of technology, it was his innovation in the realm of business where his true legacy was shaped and continues to influence todays’ corporate innovators by creating a prototype for CEOs to emulate…not technological innovators. 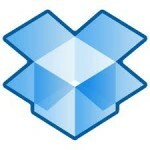 This brings us back to today and the innovative genius of Gates, Jobs, Zuckerberg, and Page. All four had a vision and the ability to see the unlimited potential of a product or service that just needed to be tweaked and properly marketed. Yet people seem to only want to discuss their legacies as technological innovators rather than brilliant businessmen who understood market positioning based on the needs and wants of other businesses and end users. All you need to do is review their early careers to understand that their vision was not one of technological creation, but rather, one of business creation. Bill Gates got Microsoft off the ground by inking a deal with IBM to provide an operating system called PC-DOS for $50,000. Of course, he didn’t invent PC-DOS. He licensed it from Seattle Computer Products AFTER he inked that deal, changed three lines of code, and rebranded it. That Operating System later became MS-DOS (and later Windows) and pioneered the home computer revolution of the late 1980’s. After the release of Windows, rather than being content with Microsoft having cornered the OS market, he had the vision to diversify and expand Microsoft’s influence into other areas including broadcast television (MSNBC), Intellectual Property licensing (TCPA), and home gaming (XBOX) while fending off numerous lawsuits and actions from fallen competitors and government agencies to maintain a superior market position. Steve Jobs was also more CEO and entrepreneur than inventor. He founded Apple to sell the Apple 1 PC, which was developed and built by Steve Wozniak. Upon incorporating, he promptly bought out his third partner (Ronald Wayne) for $800 and never looked back. Because Wozniak was building the computers by hand, he had to acquire an investor (Mike Markkula) to absorb the high production costs and created partnerships with VisiCalc and Xerox to keep Commodore, Tandy, and IBM from devouring his company before it got off the ground. He then tried his hand at creating a computer himself (Apple Lisa), and after failing miserably, decided to take over development of the Macintosh after Jef Raskin had nearly completed the project. Yet his greatest contribution to the early growth of Apple was his decision to spend $1.5 million to have film director Ridley Scott create an Apple commercial for Super Bowl XVII, which turned out to be his last master stroke before leaving Apple to flounder while he started a new company, NeXT Inc. After he left, Apple tried to follow the Microsoft example of diversification by producing failure after failure in the ancillary electronics market (i.e. portable audio, TV appliances). It was only after Jobs and his vision for a global conglomerate came back on board in 1996 that the string of failures ended thanks to the development of the iMac by Jonathan Ive and Jobs’ ability to negotiate a licensing deal with Microsoft to release Office software for Apple PCs. After that, Jobs made a number of smart licensing and technology purchases from other innovators that led to the release of products such as Final Cut Pro (formerly Macromedia), GarageBand (formerly Emagic), and iTunes (formerly Sound Jam MP). Bringing these innovations to market gave Apple the diversification they needed to explode into a viable global brand. Zuckerberg and Page also followed a similar path that was blazed by Edison and improved upon by Jobs and Gates. Facebook was a well thought out combination of two very popular sites (Friendster & Hot or Not) mixed with some “borrowed” ideas from a few other classmates, while Google began as an algorithm created as part of a college PhD dissertation showing the mathematical properties of the world wide web as a visual graph. That algorithm became the transition from original web crawlers to the first generation of true search engines. Both Zuckerberg and Page found a way to enhance something as it was becoming popular, brought it to market, and positioned it to succeed. Over the years both men oversaw the growth of their companies through smart business strategies and legal maneuvering, while keeping their eyes open for the best talent and ideas to add to their company to ensure continued development and growth. To see just how many ideas those four men have collectively created as opposed to how many they acquired and polished, you just need to look at how their companies have continued to innovate and how little of the technological innovation they were actually responsible for. Since their inception, The Big Four have spent billions of dollars to purchase more than 380 companies. Each company provided an innovation to be incorporated as part of a larger platform to maintain market dominance, or was dismembered after being acquired so a competing innovation never saw the light of day. Those numbers merely highlight the fact that the true innovation provided by globally recognized brands, is more often than not, developed by small companies who sell (voluntarily or not) those ideas to companies better positioned to bring them to market. When will the next wave of innovators come and alter the market? They are already here. Companies like Dropbox, Ubuntu, RackSpace, Acquia, and Bluefin are all producing and improving on current technologies and staving off the advances of larger companies. The only difference now is that Apple and Microsoft are trying to acquire them, or strangle them before becoming a serious threat to their profitability. Last year Dropbox turned down an $800 million dollar offer from Apple, while Ubuntu has been keeping their patent submissions half a step ahead of Microsoft and is slowly digging into their market share. So what is the lesson to be learned here? As long as there are people with innovative ideas and large corporations to buy and proliferate those ideas, there will continue to be technological innovation…even if individuals working out of a tiny garage are no longer the ones to deliver those ideas to the masses. To use the ThinManager ROI Calculator, visit here.